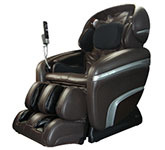 OPEN BOX OSAKI OS-PRO EKON 3D Zero Gravity L-Track Massage Chair Recliner with In-Home Delivery and 5 Year Osaki Service Warranty Plan. 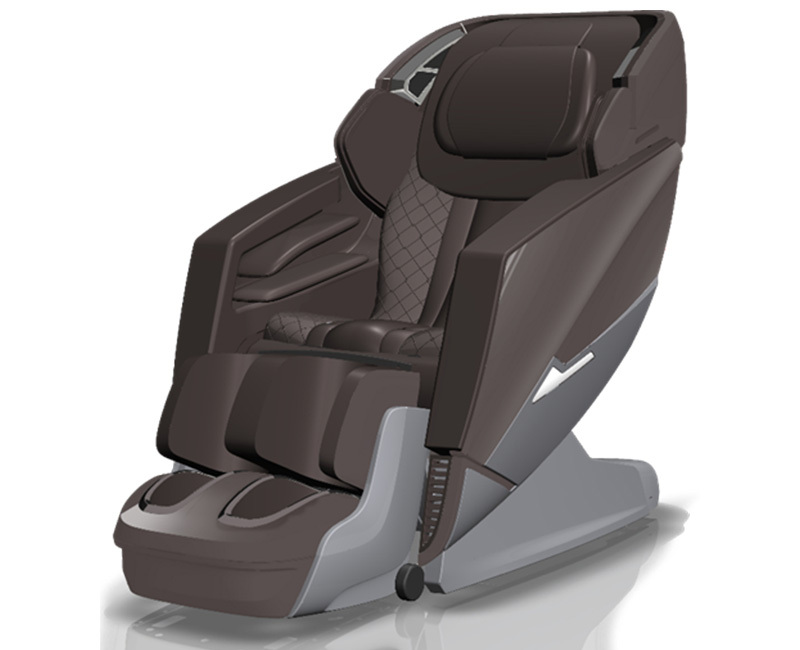 Experience the most human like massage from the Osaki OS-3D Pro Ekon Massage Chair. 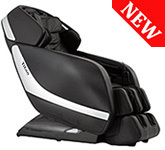 The new evolved next generation 3D massage rollers are designed for outstanding range and flexibility. 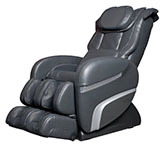 The 3D technology allows you to extend out or protrude the massage heads up to 8 mm for a super deep massage. 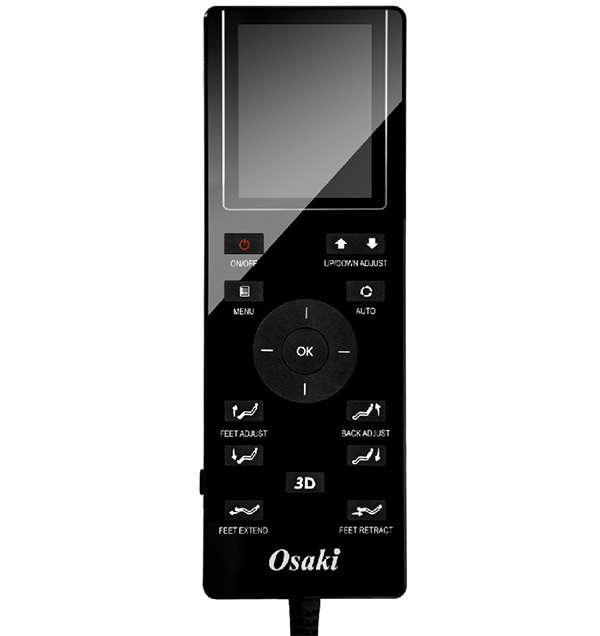 With the 3D technology, reaching and massaging the acupuncture points becomes effortless with better precision and depth, leaving you revitalized. Overall Dimensions for this chair upright are 34inches wide, 63inches long and 48.5inches high. Open Box/Refurbished returns may have minor cosmetic scratches and dings from shipping. No tears or holes and never anything major. 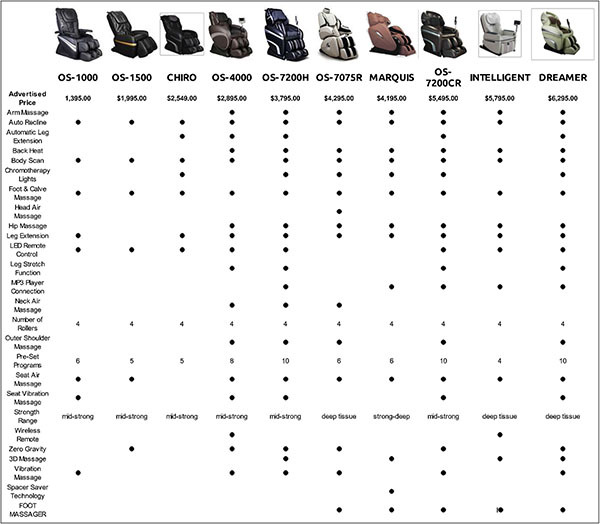 These chairs are fully checked and tested to be in perfect working order. One Year Osaki USA Parts and Labor Warranty Included on these great chairs. 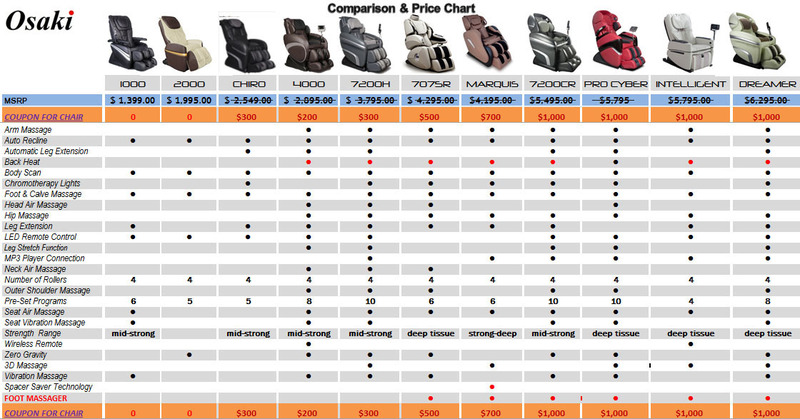 The Open Box/Refurbished Chairs are shipped fully assembled in a very large box and ready to use. Please make sure you have the people to bring it in your home. Standard Freight will not bring the chair into the home. Sample Pictures Here. 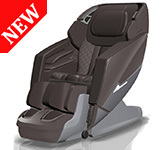 Evolved 3D massage mechanism - Built-in 3D massage mechanism will enhance the back massage for the neck & shoulders. S & L shaped massage tracks - S and L shaped back massage track will guide the back massage rollers to move from the neck to the thighs/buttocks. 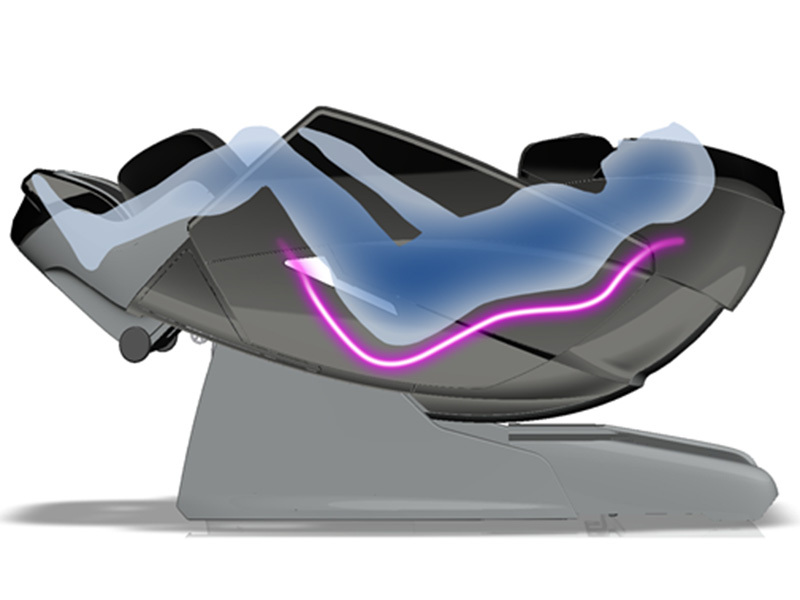 The S L track will offer 60% more massage area. 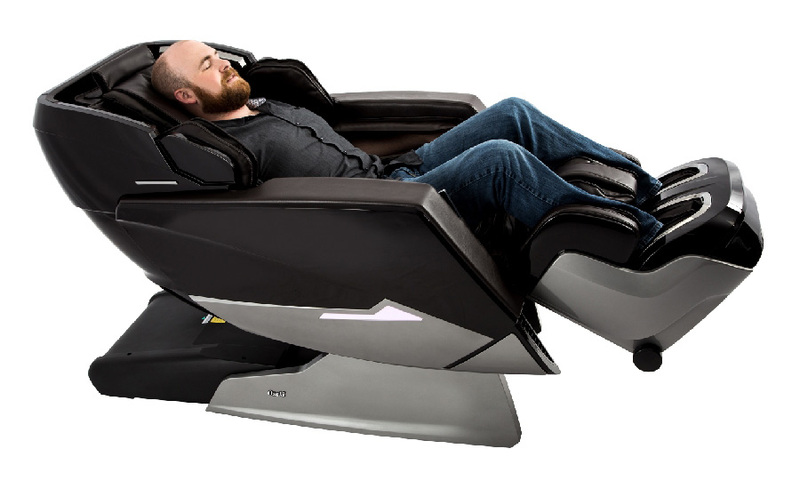 Zero-Gravity - The Zero-Gravity reclining angle will help users find the most comfortable position. Bluetooth Music Player - Built-in Bluetooth speakers that allows the user to stream music wirelessly. 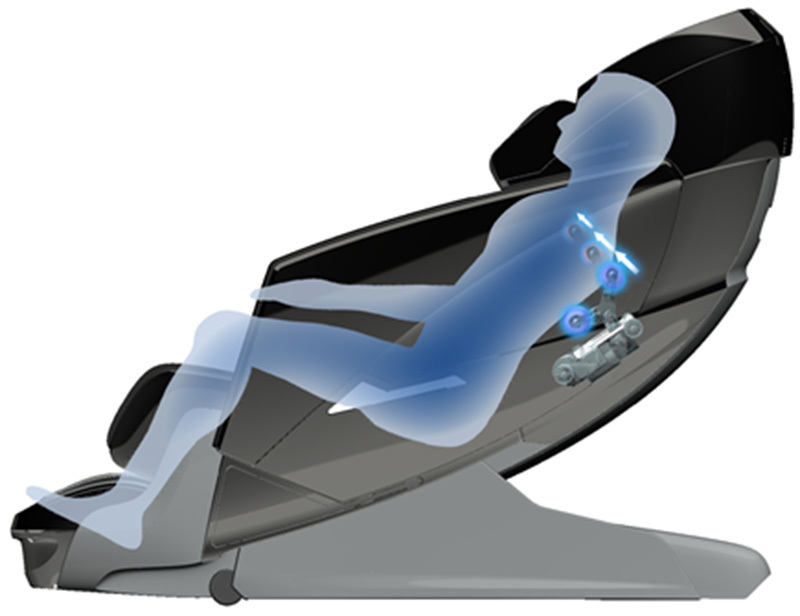 Refreshing Stretch Technique - Select the ‘EXTEND’ massage program on AUTO modes with the remote control. 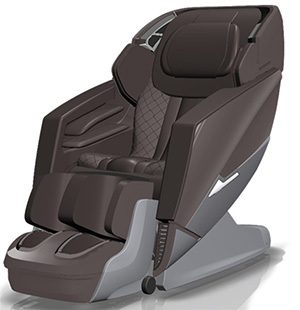 The chair’s shoulder air bags will hold the upper body, while the chair’s backrest and footrest recline down for strong stretch. Chair footrest will extend out. 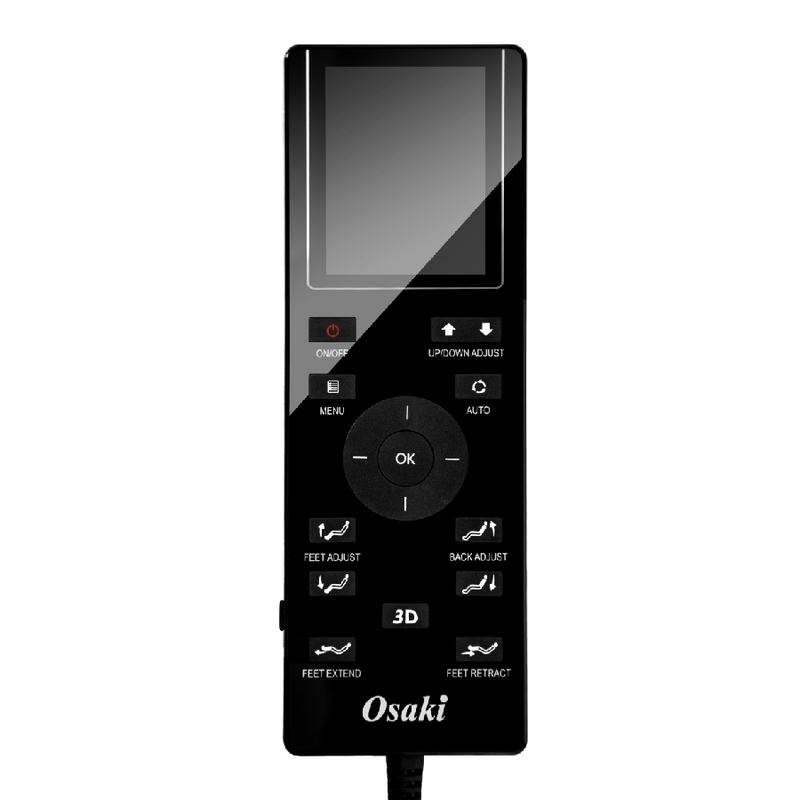 Built-in USB outlet for charging of your portable devices. 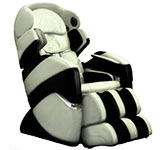 Full Body Air Cells - Built-in air cells for shoulders/armrest/lumbar/thighs/feet air pressure massage. 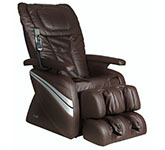 Bottom of Feet Massage - 6 (3x2) total foot rollers massage bottoms of both feet. 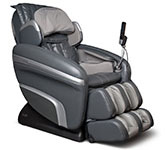 Feet massage rollers move back and forth for a comfortable massage. Overall Dimensions for this chair upright are 34inches wide, 63inches long and 48.5inches high. 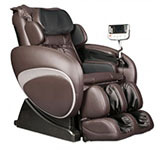 5 Year Extended Osaki Service Warranty Plan is included.